This scheme enabled a doctoral student or early career academic researcher to do a short-term work placement with a company from within London’s Creative Economy. Below are examples of placements that Creativeworks London has funded. More information about the scheme can be found here. Spread the Word believes that their is an untapped employment opportunity in the games industries, that there is the potential to link creative writers with small games development companies to the benefit of both parties. This residency set out to explore this idea, looking to uncover a way of developing and supporting writing opportunities within the industries. Researching in residence Luke Kelly took five games as case studies: Sherlock: The Network, The Black Crown Project, Blue Toad Murder Files, Inanimate Alice and Zombies, Run! Each game was selected on the merit of its written content, Kelly’s analysis detailed the mechanics of the game, profiled the a writer, developer or producer who worked on its creation, and outlined how narrative was factored in. The report concluded with a series of insights spread across five key categories: Developing Core Skills, Building A Portfolio, Collaborating, Games Are Moments and Adapt & Interact. In total it forms a useful guide for both writers wishing to work with games companies, as well as games companies wishing to improve the written content of their products. The residency and the report have helped Spread the World develop their thinking and assisted them in programming activities focused on writers and the games industries. For Kelly it has provided an exploration of an issue central to his PhD thesis, allowed him to meet with a number of people who’ve contributed valuable perspectives and put him in contact with another company for a potential future collaboration. 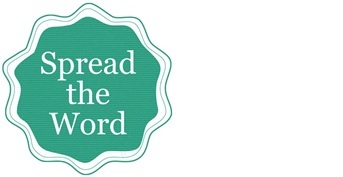 Spread the Word has been funded by London Creative and Digital Fusion. More information about London Creative and Digital Fusion can be found here.